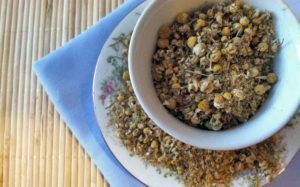 Chamomile is one of my favorite herbs because of its delicate scent and great taste in teas. 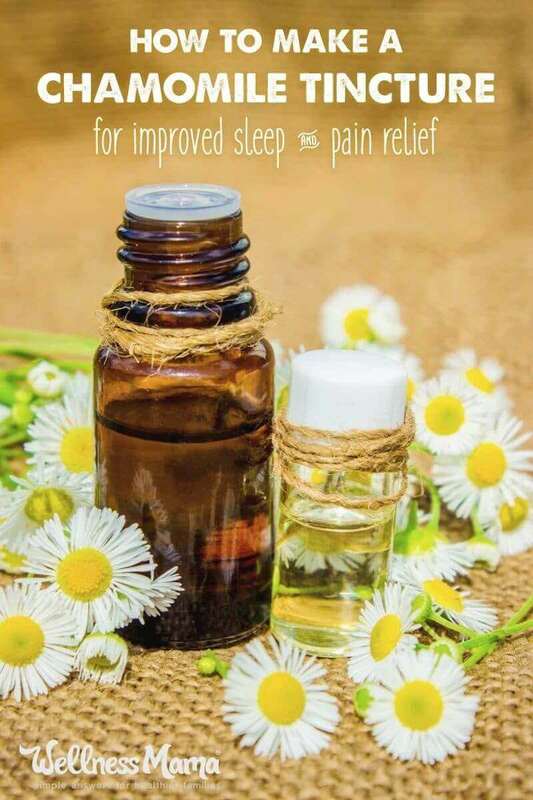 It is my absolute favorite herb for kids and I keep a tincture of Chamomile on hand for any childhood aches and ailments. Switching to a real food diet has eliminated our bouts with ear infections and stuffy noses (though Chamomile helps with those too!) but some things, like teething pain, can’t be fixed with healthy food! Chamomile is a naturally calming herb that relaxes nerves and reduces pain. 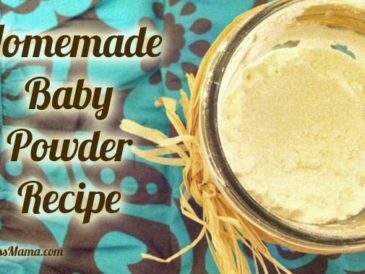 It has been known to settle the stomach and reduce gas and colic in infants. I use it to soothe fussy babies, calm down upset toddlers and and on bruises. 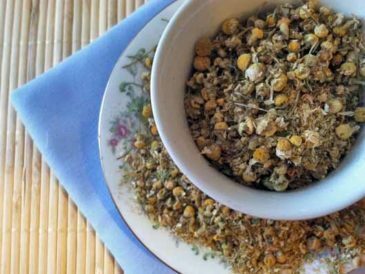 Adults can use Chamomile to improve sleep, to ease menstrual cramps, relieve headache and soothe frayed nerves. It is also great for the skin and can even naturally lighten hair. 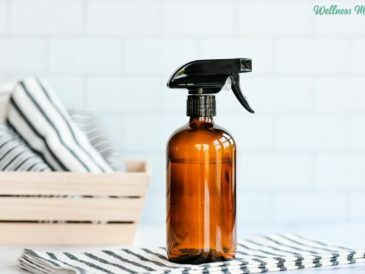 A homemade Chamomile tincture is incredibly easy to make and is my favorite baby gift for new parents. I take it to the hospital when I have a baby (mainly for me during labor!). 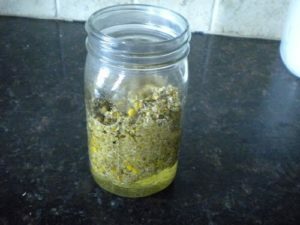 Perhaps you’ve seen Chamomile tincture in stores, but you can make your own for much less than you can buy it. I make a quart for the price I used to pay for a 4-6 ounce bottle. 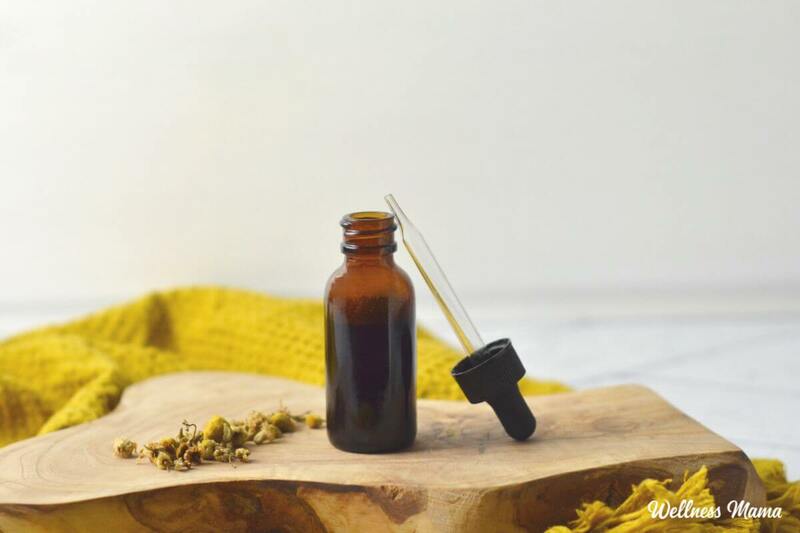 Making tinctures also helps preserve herbs, which is especially important for Chamomile, since its positive benefits are in its volatile oils which decrease over time unless preserved. Fill the rest of the jar with vodka or rum (do not use rubbing alcohol or non-consumable alcohol!) and tightly cover with airtight lid. Store in a cool, dark place and shake daily for 4-6 weeks. This will make a strong tincture! After 4-6 weeks, remove from cabinet, and pour through a cheesecloth or strainer. Store in a jar or in tincture vials for easy use. Normal dose for adults is up to 1 teaspoon 1-3 times a day as needed. For infants, only a few drops are needed, and often it can be rubbed on the gums or stomach for teething or colic pain. For toddlers and older children 1/4 to 1/2 teaspoon can be taken 1-3 times a day while needed. It is especially useful for babies and young children who are having difficulty sleeping. A dose right before bedtime can help relax and sooth them for more peaceful sleep. 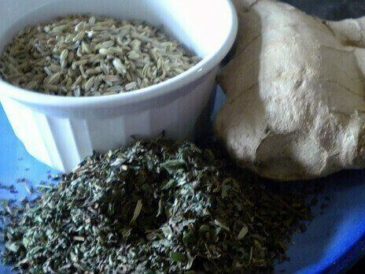 Any herb can be preserved with this method, and often this is the most cost effective way to use herbs. Any herbs I don’t grow myself, I get from this website. 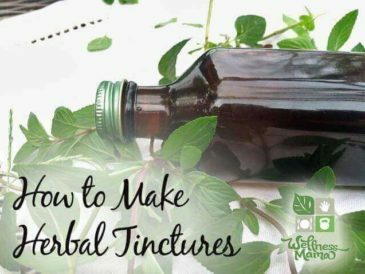 Another tincture I keep on hand is my homemade Herbal Digestive Remedy Tincture, which is also very simple to make! 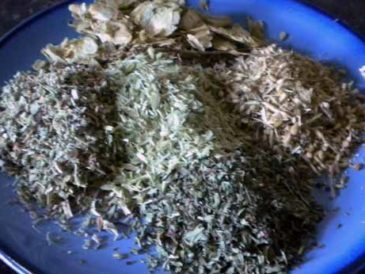 What homemade tinctures do you make? Share below!